Yes, some folks still do and others are planning to spend as soon as they have it. Pretty much so as the turnout was decent and there seemed to be appreciation for those who exhibited. “Will we survive this year?” I think we just might! I do not know the actual attendance numbers for this year’s event, while it did seem slower than last year, it was not off as much as I expected and the overall mood this year was pretty upbeat. Call it a need for escapism if you need to, but the bottom line is that I saw way more people attending than expected and I saw a good number of people buying things from records, to accessories to demo products. I actually had a hard time getting into some rooms and I am from the press, for crying out loud! Rooms that I found of special interest and that I thought had exceptional sound? Well let’s see then shall we? Brian Ackerman’s Aaudio Imports room had one of the more enticing sounds of the show. The system was sporting Ypsilon electronics of superb quality and sound, not to mention beauty. The Ypsilon CDT 100 CD Transport ($25,000), DAC 100 stereo valve DA converter ($29, 000), VPS 100 Valve Phono stage ($25,000) the PST 100 Stereo valve preamp and the beautiful DHT Monoblocks ($75,000) all pushing a pair of Tidal Constriva Diacera SE Loudspeakers ($71,100), all enhanced by the new Bergman Sindre Airbearing turntable ($20,000). No denying a very nice sound. If only I had $300,000 to put on a new system! The Acoustic Technologies room was quite entertaining. 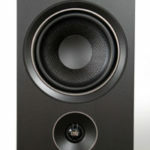 This speaker is a very narrow floor-standing with a single, 3″ driver. 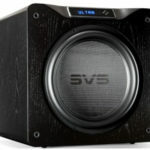 I first heard this speaker at the AKFEST in May and was mightily impressed not only with the amount of sound and frequency range that was attainable from a single 3” driver, but the musicality and the sound staging. The Acoustic Technologies makes a pretty convincing argument for single-driver speakers. 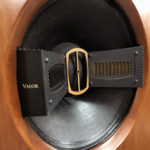 They also do a pretty interesting demonstration to show that the speaker delivers a full sound without a particular sweet spot. Attractively priced at $2450 a pair, this elegant looking floor standing column would fit in with any décor. Audio Unlimited was hosting a number of rooms. One that stood out was this room featuring the Hansen speakers driven by Accuphase electronics and fronted by the mighty and awesome Transrotor Tourbillon turntable. Anyone who knows a thing about watches knows what a Tourbillon is. It is the pinnacle of mechanical watch-making art. It is a rare and highly complex complication of a mechanical watch movement designed to offset the effects of gravity on the moving parts of the mechanical movement. For those of you too young to understand the words mechanical and watch in the same breath, there was a time before iPods and other digital things like quartz watches where the insides were made of gears, springs and levers. All put together by a single person, toiling over a bench with a magnifying glass stuck in one eye making the watchmaker perpetually look like Vince in the Shamwow commercials. They had to be made by hand and they took months to build, at least the good ones! Today this highest form of watch-making is on the comeback and so is the Tourbillon complication. 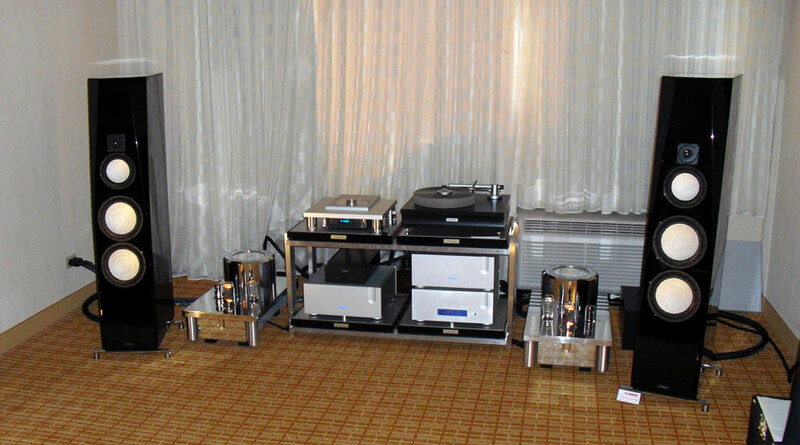 They also had a very dynamic setup in room 2013 which sported a less expensive Transrotor ZET 3.2 turntable and an Air Tight PC-1 cartridge with Air Tight amps and Focal speakers. 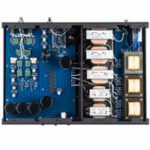 Ayon Audio USA was jamming along with a great system consisting of their CD5 ($9500) and the 125-watt-per-channel Triton Integrated amplifier ($8500). This combo was driving the Escalante Design Fremont speakers while I was in the room, and it was doing a darned fine job of it at that. (Pictured: Affirm Audio’s Elation loudspeakers.) Also on display were the Ayon Polaris Preamp, which I just finished reviewing, and the 60-watt-per-channel Spirit II integrated amp ($3999). (Read the original Spirit Review by Doug Schroeder.) Charlie Harrison of Ayon Audio USA also brought along the Ayon CD-1s Tube player ($3999), the CD 2 that Doug Schroeder reviewed and just for good measure, the Orion 60-watt integrated stereo amp. The Triton, CD-5 and Escalante grouping was very enticing to say the least. Bel Canto along with Jeff Joseph hosted a couple of rooms and the room utilizing the new Pearl speakers was getting fantastic sound. The fit and finish on the new Pearl ($28,000) is first rate as was the sound. Balanced from top to bottom and throwing a really nice soundstage with the complete compliments of Bel Canto electronics. I was very impressed with this as the setup was using the Bel Canto REF 500 monoblocks ($1995.99 each, yes that is not a misprint) with the CD2 ($2995) running through the DAC3VB ($2695) and the One Virtual Battery supply ($1495) all on the fantastic Audio Resolution Systems stands. This was one of the more musical systems I listened to. What made it all the more impressive was the use of approximately $12,000 worth of electronics driving a pair of $28,000 speakers to some really satisfying levels and high quality sound. Who says you have to spend a fortune to get great sound?